Lebanon has commemorated the 19th anniversary of the massacre of over 100 civilians by Israeli military forces in the southern village of Qana, Press TV reports. The massacre took place on April 18, 1996 when Israeli warplanes shelled a United Nation compound in Qana in southern Lebanon, killing 106 civilians, many of them women and children, and wounding 116 others. On Saturday, a group of Lebanese people and officials, including families of the martyrs, attended a ceremony in Qana to commemorate the martyrs of the attack. Mohammad Ja’afar, who was then an interpreter for the United Nations Interim Force in Lebanon (UNIFIL) and a survivor of the Israeli aggression, said he never forgets that bloody afternoon. Randa Berri, head of the Lebanese Welfare Association for the Disabled, told Press TV that Israeli terrorism is one facet of the international terrorism. “What happened in Qana is happening in the world, in the Middle East, in Europe in all of the countries. I think terrorism is now not under the control and we should be very aware,” she added. Khadijah Atweh, an elderly woman who survived with her two granddaughters, said the liberation of south Lebanon and the continuous victories of the resistance movement against Israel were blessed by the blood of the innocent martyrs of Qana. The Israeli regime continues to claim that the deadly shelling was a "technical error." However, a United Nations investigation has confirmed that it was very unlikely that Tel Aviv shelled the compound by mistake. The unprecedented attack was in clear violation of international conventions and widely condemned by human rights organizations. However, the US again blocked any UN Security Council action against the Israeli regime. Upon arriving in Norway on Monday, 12 May, Israeli President Shimon Peres was greeted with protests over Israeli repression of Palestinians as well as Israel's Lebensraum policies and apartheid practices in the West Bank. The 90-year-old Peres, who won the prestigious Nobel Peace Prize in 1994, is widely considered a war criminal for his role in the Kana massacre in Southern Lebanon in 1996. Then in his capacity as Prime Minister, Peres ordered the Israeli Wehrmacht to bomb Lebanese refugees who had sought refuge at a local United Nations Interim Force in Lebanon (UNIFIL) base at the village of Kana. As a result, as many as 110 women and small children were massacred. The scenes at the site were too horrific to be described in words. Indifferent artillery shells decapitated young children. Dismembered bodies were all over the area. TV networks around the world advised parents not to allow their children under 18 to watch the shocking scenes of pornographic killings in order to safeguard their mental sanity and emotional health. As usual Israel indulged in characteristic stone-walling and sought to escape responsibility, claiming the bombing was done by mistake. None the less, neither Peres nor the Israeli government has ever admitted responsibility nor apologized for the colossal crime. Instead, Peres became a celebrated figure around the world, with red-carpet receptions accorded to him despite the fact that his hands were thoroughly stained with the blood of hundreds or thousands of innocent Palestinians and Lebanese. The Kana massacre is by no means the only black spot in Peres' record. The man has always been a war criminal. He will die as an irredeemable criminal then he will rot in hell for eternity. Interestingly, it was Peres who introduced nuclear weapons to the Middle East as he played a leading role in secretly purchasing Dimona's nuclear reactor from France in the mid-1960s. Eventually, Israel utilized the enriched uranium produced at that nuclear plant to produce hundreds of nuclear weapons. It is widely believed that Israel possesses 250-300 nuclear bombs and warheads, along with their delivery systems. But this clarion fact doesn't prevent Peres and other Israeli officials from babbling and whining about Iran's nuclear program, which underscores Israel's hypocrisy and moral duplicity. 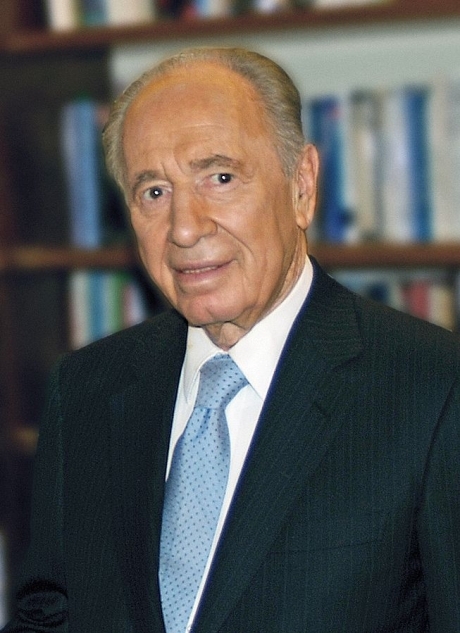 Peres is also more or less considered the godfather of Jewish settlements in the Occupied West Bank. Now, it is amply clear that thanks to the settlement enterprise, all real chances for a true and lasting peace deal between Israel and the Palestinians have effectively evaporated. The ubiquitous colonies, populated with Nazi-like settlers indoctrinated in a hateful and racist ideology based on the Talmud, have simply decapitated all real peace chances in the region. 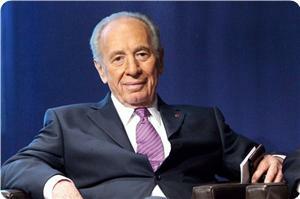 When talking to a foreign, especially western, audience, Peres would sound quite bland, honest and a man of peace. But the truth of the matter is that Peres is one of the most nefarious Zionist leaders responsible for the consolidation of Jewish Nazism in the Middle East. In the final analysis, Peres as everyone else ought to be held accountable for what he has done not for what his disingenuous babbling about peace. Ultimately, Zionism and peace are an eternal oxymoron. The dispossession of helpless Palestinians at the hands of Talmudic-minded Jews who consider non-Jews "mere beasts of burden", along with the lebensraum policy Israel has been pursuing in the West Bank, should be sufficient evidence to indict and convict this irredeemable liar and war criminal. It is sad that the Norwegian authorities have not arrested the war criminal right on the spot. Indeed, it is utterly unjust and unfair, not the least for his numerous victims that this thug is allowed to escape with impunity. It would be a black day if humanity allowed people like Shimon Peres and Bashar al-Assad, to mention just a few criminals, to die a natural death. This certainly doesn't augur well for universal justice and the future of humanity.